Celtic Studios was the first stained glass firm to be established in Wales. Opened by cousins, Howard Martin and Hubert Thomas, in the 1940s, they established an international reputation, with a quarter of their windows produced for Canadian churches. A new book by the late Maurice Broady has been brought to completion by his daughter Elspeth Broady and Alun Adams. 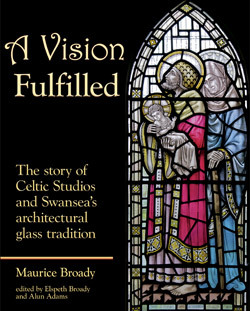 The book has been published by West Glamorgan Archive Services, and was designed by former AHRC Project Artist, Researcher and Designer Martin Crampin, who was also responsible for additional photography of Celtic Studios' windows in Wales. Identifying an emerging market for new windows in churches after the end of the Second World War, Celtic Studios were responsible for a wealth of biblical imagery for places of worship. Aspiring to the ideals of the Arts and Crafts Movement, they produced a variety of traditional and modern designs, drawing on the talents of designers Howard Martin and John Edwards. The book concludes with a consideration of one of the main legacies of the firm: the rise of the architectural stained glass department in Swansea. 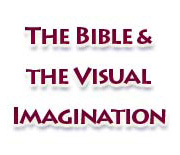 Visit the Imaging the Bible in Wales Database for biblical windows by the firm.